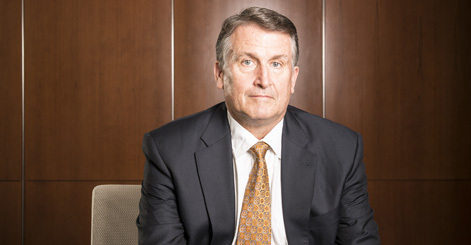 Greg Williams, past president and head of the corporate department, which includes the corporate litigation practice, at Wilmington, Del.-based Richards Layton & Finger, built his reputation as one of the country’s top corporate litigators without ever needing to leave his home state. Born, raised and educated in Delaware, Williams cut his litigation teeth trying cases in the Delaware Court of Chancery during the corporate litigation boom in the early 1980s, when every company seemed to be the target of a hostile takeover. Since then, he has represented some of the largest corporations in the world, from Citigroup to Walt Disney. Lawdragon: Can you describe the kind of work your group does and how you differentiate yourself from the marketplace? Gregory Williams: Much of the work of our corporate department is focused on advising our clients with respect to transactions and then representing those clients in any litigation relating to the transactions. We also frequently represent investigatory and transactional special committees of directors. In my view, the depth of our team distinguishes our firm in the marketplace. We have transactional lawyers who have extremely strong practices and our litigation group is, in my view, second to none in Delaware. LD: Your firm is the largest firm in Delaware and one of Delaware’s oldest firms , and yet it has not seen the need to move beyond the state. What advantage, if any, do you see in staying put when everyone else is going global? GW: We are very good at what we do — representing Delaware businesses. There is no better place to do so than right here in Wilmington. By keeping all of our lawyers under one roof, we’ve been able to maintain a bit of a small-firm culture, despite our size. Our practice is very team oriented, and I think the fact that we are all here together helps those teams to operate smoothly. LD: You’ve been practicing in Delaware for more than 30 years now and have become a courtroom fixture, so to speak. How has the practice of law changed for you over the years? Is it more of the same or have things changed drastically from when you first started practicing corporate law? GW: The fundamentals of my practice have remained largely unchanged. I am very fortunate to spend most of my courtroom time in the Court of Chancery. You get very spoiled in Chancery — you know you will have a very capable, prepared judge every time you walk into the courtroom. One of the biggest changes in the practice is the fact that almost all mergers and acquisitions now draw stockholder litigation. The quality of the stockholder plaintiffs’ bar has greatly improved over the course of my career. LD: It appears, at least when you read the papers, that there is a lot more shareholder activism going on these days than in the past. Do you see any impact of that in your practice and how have company boards responded to this perception? GW: Corporate boards do a much better job today than they did when I started practicing. The days of “country club boards” are over. Directors pay attention now — which certainly makes defending them in litigation much easier. LD: What is your case docket like these days? What companies are you currently representing? GW: I am currently representing in Delaware litigation, among others, Dell, Bristol-Meyers, JP Morgan, Monsanto, Len Riggio (the Chairman of Barnes & Noble), and US Cellular. I also am advising special committees of a couple of boards. I also am a AAA neutral and am serving as an arbitrator in a couple of matters. LD: If you have to choose one lesson that you learned in law school that has helped you a lot in your practice, what would that be? GW: For me, the most important lessons I learned in law school had nothing to do with the law itself. In law school you had to learn to develop relationships with people that were able to withstand the pressures of a difficult workload, anxiety, etc. That skill is also extremely important in a law firm. You also had to learn how to pace yourself in order to be ready for that one exam at the end of the semester — not unlike pacing yourself and getting ready for a trial. LD: Have you always wanted to be a lawyer? GW: No, I wanted to be a doctor. An advisor told me that you needed a 4.0 grade point average to get into a domestic medical school. I thought the chances of my achieving a 4.0 with a pre-med major were slim to none, so I literally walked over to the pre-law office and looked around. I liked what I saw and decided to go to law school. LD: What is the first thing you do when you wake up in the morning? GW: We live in the country and, whenever I have time to do so, I do some type of chore outside before heading to the office. Doing so somehow seems to get me off to the right start for the day.